Six strangers are traveling overnight on a train that has had a murder on that night every year for 82 years. They must determine who will be the next victim, and who among them is the murderer. 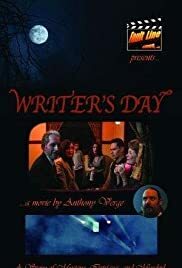 It is Writer's Day! A story of mystery...intrigue...and murder! Writer's Day is Great Fun!